Did you know what’s going on with your gums could be a telling indicator of issues you may be experiencing elsewhere in your body? This is commonly referred to as the oral-systemic link and scientists and researchers are discovering new findings about this deep connection every year. Your gums do much more than hold your teeth in place. They’re also hard at work protecting the rest of your body from infection and inflammation. When you develop periodontal (gum) disease, there’s a chance it could worsen underlying health conditions such as kidney and heart disease, respiratory issues, diabetes, and stroke. Gum disease in pregnant women can also lead to premature birth or low birth weights in infants. Your Sierra Smiles Tahoe team believes in educating patients about the connection between your oral and overall health. If you have questions about your gums, please don’t hesitate to talk to us. We’re always here to help! 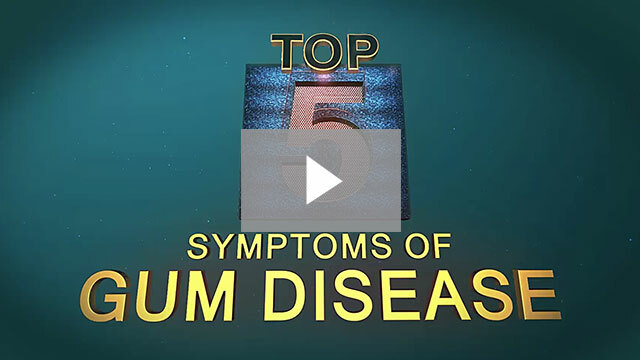 Gum disease is more common among dental patients than you may think. It’s entirely preventable if you practice good at-home oral hygiene and keep up with your regular cleanings with us. Most people we meet at Sierra Smiles Tahoe do not even realize they are showing any symptoms. Common signs of gum issues include bad breath, loose teeth, bleeding, and swelling. One of the critical things to know about getting rid of gum disease is that the earlier we diagnose the problem, the easier it will be to get your gums healthy again. We take treating gum health very seriously, so we’ve got a highly trained team of dental health professionals ready to help you along with some of the very best technology available for treatment that’s fast and pain-free. When your gums need extra attention and care, you can trust the experienced team at Sierra Smiles Tahoe to help you get healthy again. We have some of the brightest dental health professionals on our team who are specially trained to diagnose periodontitis and create a treatment plan just for you. There are medications and both in-office and at-home treatment solutions that can make your smile healthy again quickly and pain-free. We are proud to provide effective Perio Protect® therapy that allows you to safely fight the bacteria that causes gum disease in the comfort of your own home. We give you special trays, a prescription solution, and clear instructions on how to treat your gums at home. We also offer Ezlase dental laser therapy that gets in between teeth and below the gumline to clean out all of the harmful bacteria. We promise to have you and your smile looking younger and healthier in no time! Lasers technology has truly changed the face of dentistry as we know it today. We can use the highly capable and powerful Ezlase dental laser to safely remove bacteria that like to lurk deep in your gum tissue pockets causing periodontal disease and problems for your teeth. Patients are always amazed at how quickly their gum health improves and painless laser treatment can be. We have so many different ways to get rid of your gum disease, but it’s essential to create a plan of action that works for you. Rest assured we will be by your side the entire step of the way, and we won’t stop until you and your smile are have achieved optimal health. You deserve the very best!